VATICAN CITY (CNS) — The Catholic Church must find a way to look at secularization as an opportunity to find new ways to proclaim the Gospel, the Jesuit superior general told the Synod of Bishops. 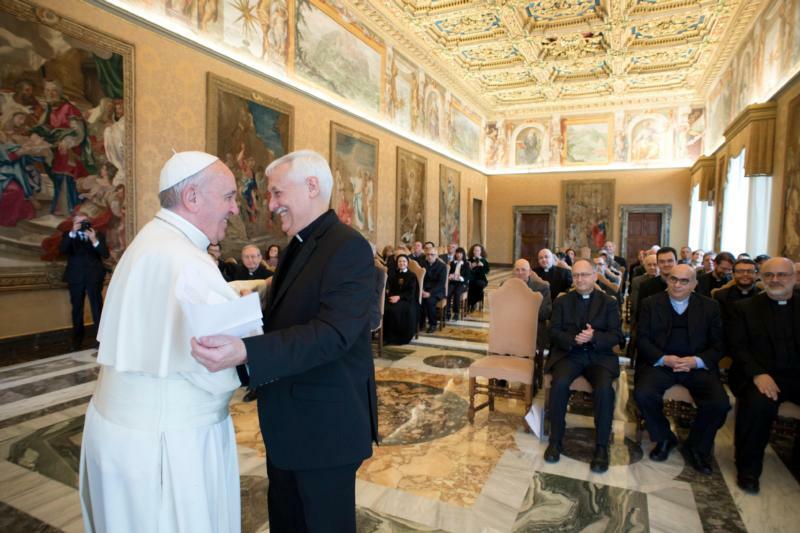 While the working document of the synod dedicated to young people views secularization as “a dark phase that is in the process of being overcome,” the document offers no approach to “looking to interpret reality and discern God’s action in history,” said Jesuit Father Arturo Sosa Abascal. “What if we try, instead, to look at secularization as a sign of the times, in the theological sense that the Second Vatican Council gave to this expression? It means looking at secularization, and the secular world that arises from it, as one of the ways the Spirit is speaking to us and guiding us in this time,” he told the synod Oct. 11. Father Sosa began his brief talk by looking at the working document’s interpretation of secularization, which he said was viewed in a “simplified and negative” light. However, if the church views secularization as a “sign of the times,” it can lead to a more authentic faith that challenges people to make a conscious choice to become Christian rather being “automatic Christians” who only practice their faith because of the society in which they live or their family traditions. “Secular society also frees us from establishing in religion a tribal identity, a national identity or any other identity foreign to the spiritual experience that invites us to recognize each other as humans, brothers and sisters, sons and daughters of the same Father,” Father Sosa said.